Good morning! I hope you had a great weekend and that your week is off to a great start. My weekend was busy and spent soaking up every second of the sun I could. This week we are expecting 7 dark, gray and rainy days. It reminds me of winter, except that it is still hot and steamy. 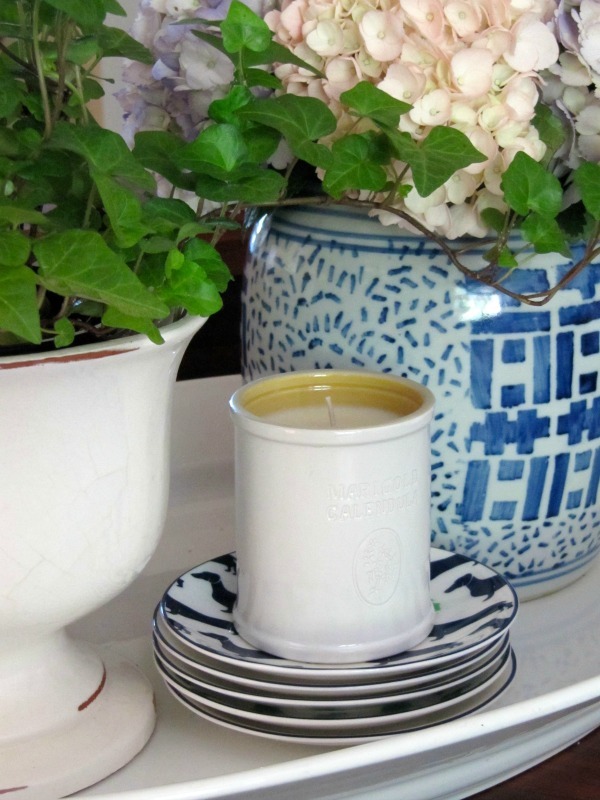 On cold, gray days I love to light candles to add a little cheer to the house. Let me amend that, I light candles ever day in the kitchen and my husband lights his favorite in his office but on ugly days I light them in every room I am in, my office, the bedroom, family room, etc. I love to walk by and see the soft glow and to smell my favorite scents wafting by. In the summer more often than not it is something that reminds me of the beach, like coconut mango or vanilla bean but the minute I feel a turn in the weather I love the spices and smells of Fall. I love to receive candles for gifts and they are also a great gift to give for a hostess gift or a stocking stuffer(it's never to early to think about Christmas). Pair your candles with a wick trimmer, candle snuffer, matches, place in a colorful gift bag and you are all set. 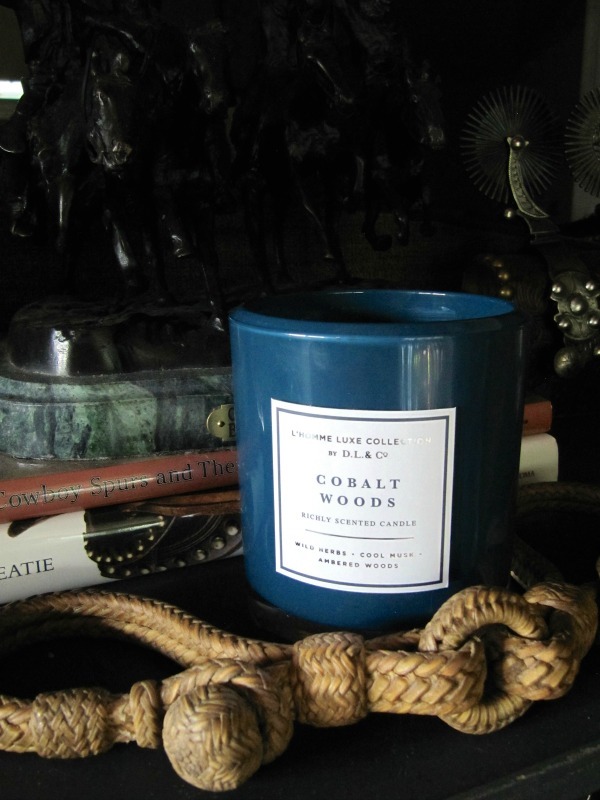 What are your favorite candle scents? Do you prefer the smell of Fall, flowers, baking or something else? Here are just a 21 my favorite scents including a a few to get you ready for Fall. 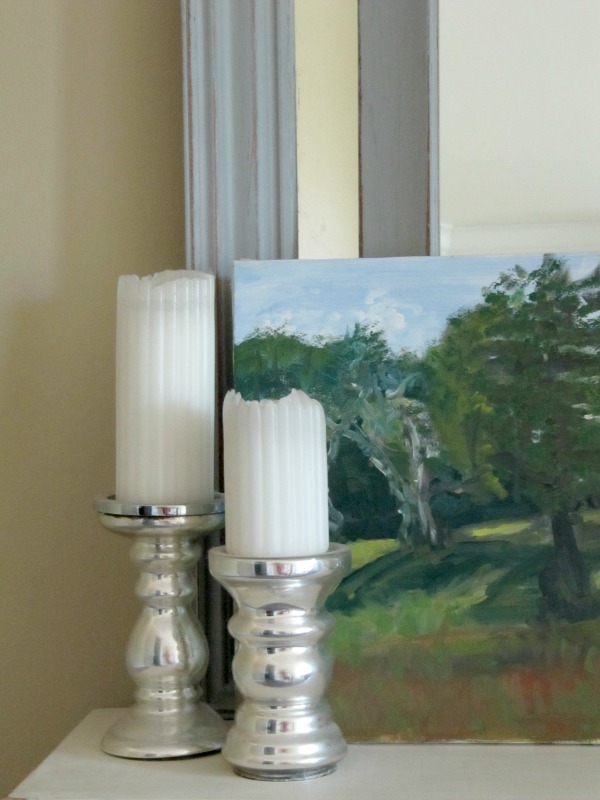 I love candles and I LOVE those mercury glass candle holders! Admittedly I'm not really one for candles. Yes I do love candles.... 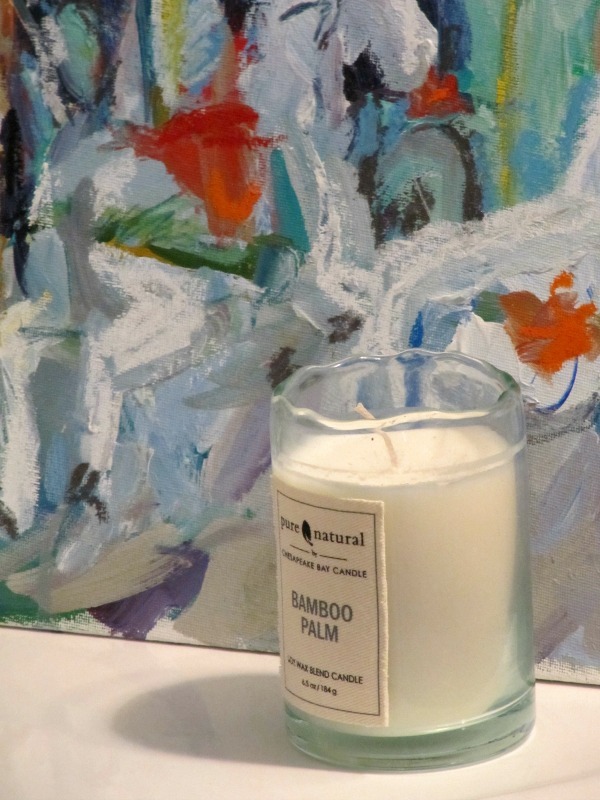 I tend to lean toward organic scents, my favorite candle is a local vendor... a few of the scents I have enjoyed, sweet tea, front porch and tall cotton. I hope your week is off to a good beginning.